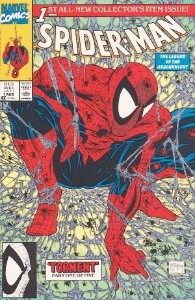 I have a copy of the silver edition of Torment signed by Todd McFarlane and his last Spider-Man issue, featuring X-Force, signed as well. They have not been opened or read since being signed by Todd McFarlane. I was curious as to how much these comics are worth. Thank you for your time. thanks for writing. Unless your comics are Signature Series CGC certified , then you will have to take a chance with them and try to find a buyer for the "raw" books. Comics signed without authenticity are considered damaged. If you submit them to CGC now, your books will be given a "qualified" rating, noting the ink on the covers. It's crazy, yes, but that's the state of the business right now. You can probably get $50 for #1. We couldn't get any data for #16. Since this article was written there has been new grading company that does verify signiture books and encapsulates them. Thanks for writing. 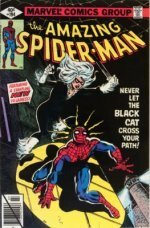 I need more information to determine how old and valuable your comic book(s) is. What original price(s) are printer on the cover? 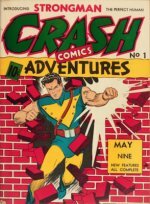 The early series began at 10c and 12c on their covers. Later books are priced 75c or higher. There are reprints of Amazing Spider-Man 1 as well. See: our Amazing Spider-Man price guide to identify them.